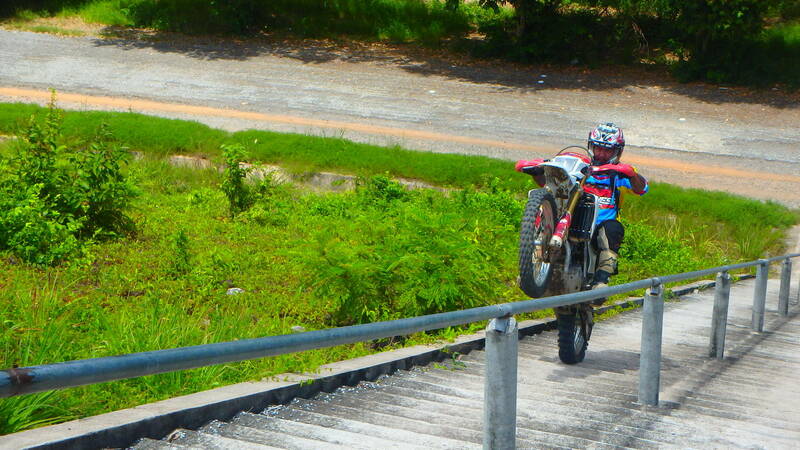 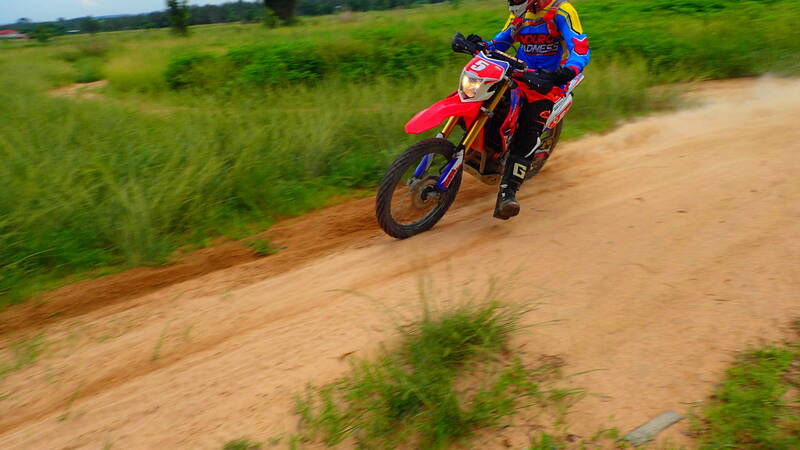 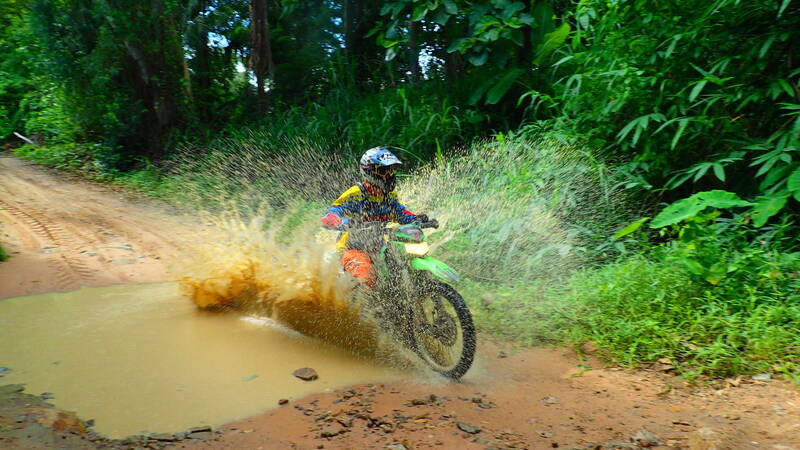 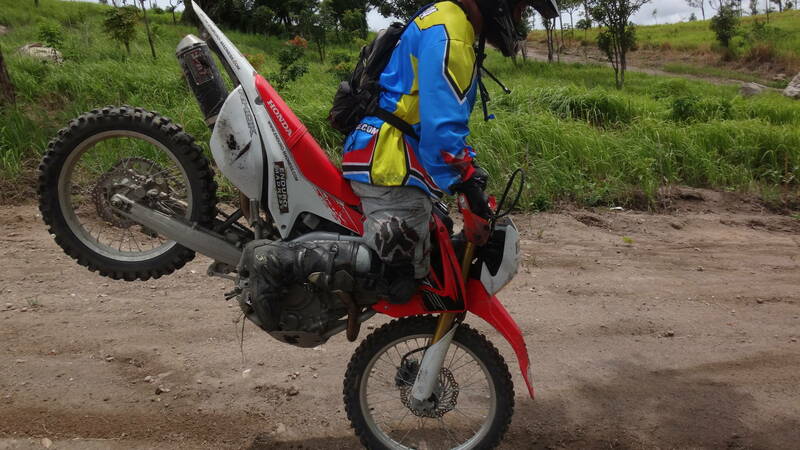 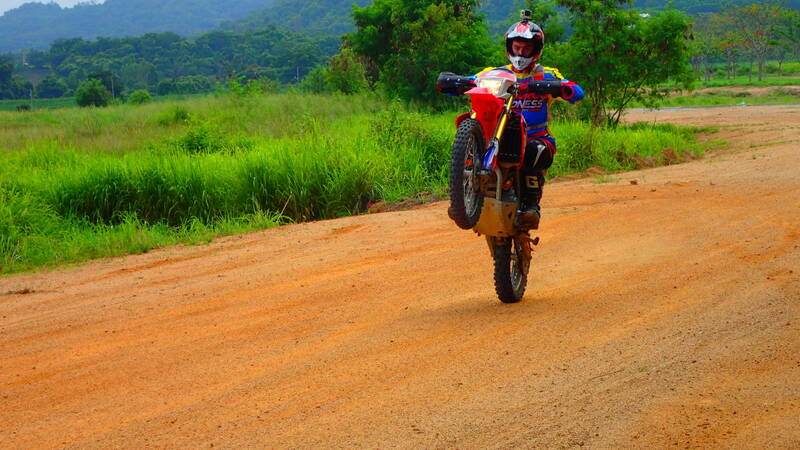 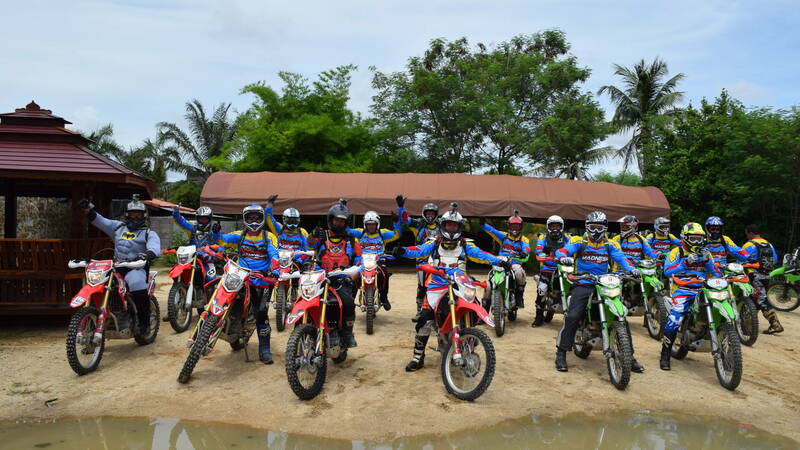 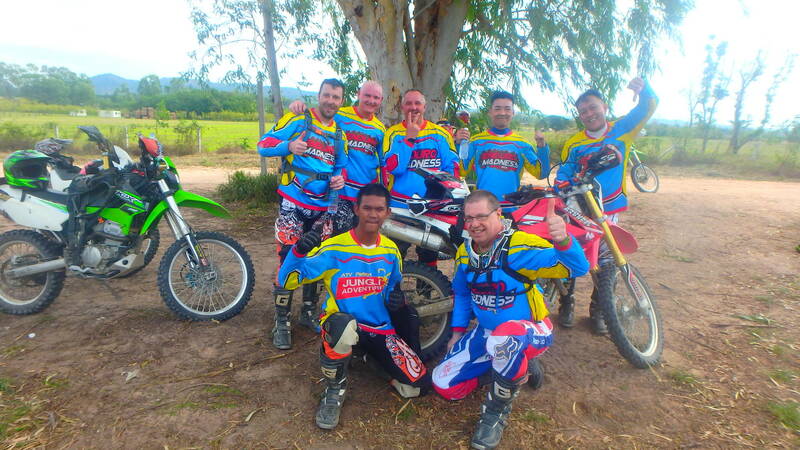 Enduro Madness = Awesome Guided Dirt Bike Enduro Tours Right Here In Pattaya Thailand! 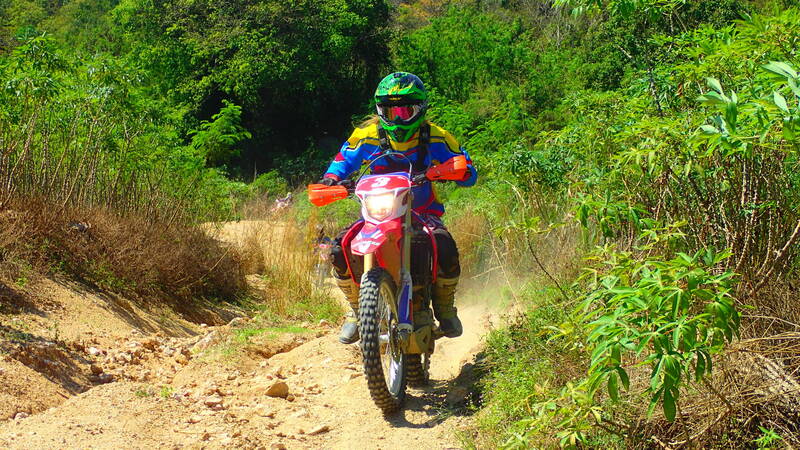 ATV Adventures Pattaya’s sister operation is called ENDURO-MADNESS and is located at the same location however the two operations are very different. 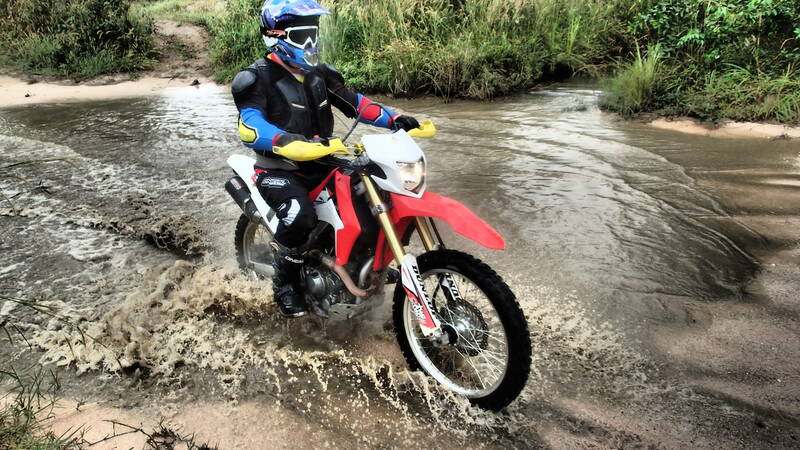 Enduro-Madness focusses purely on dirt bikes, offering sensational guided dirt bike tours and training that’s tailor made to your riding ability level, from complete beginner to expert competition rider. 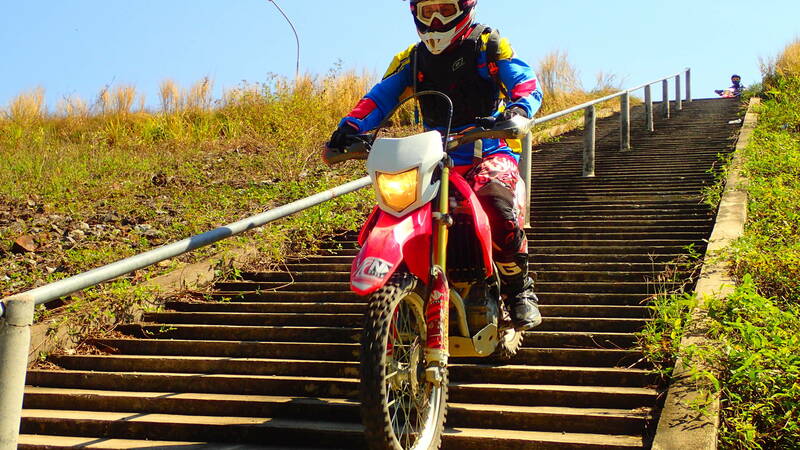 Level One / Beginner: This is for complete beginners who have never or rarely ridden a geared motorbike before. 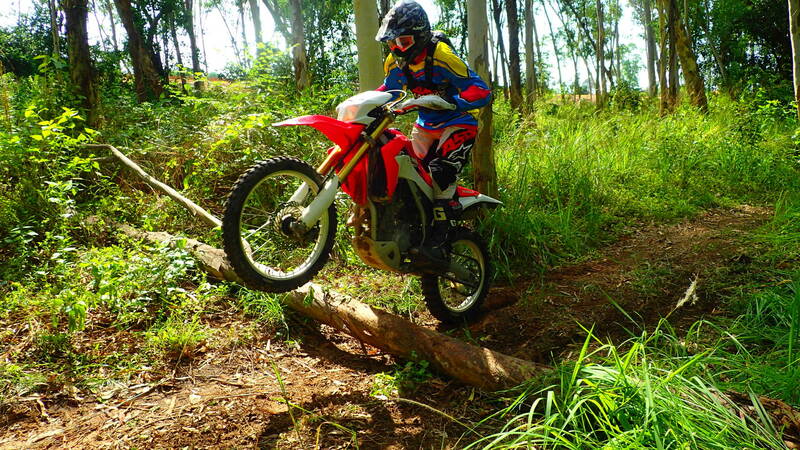 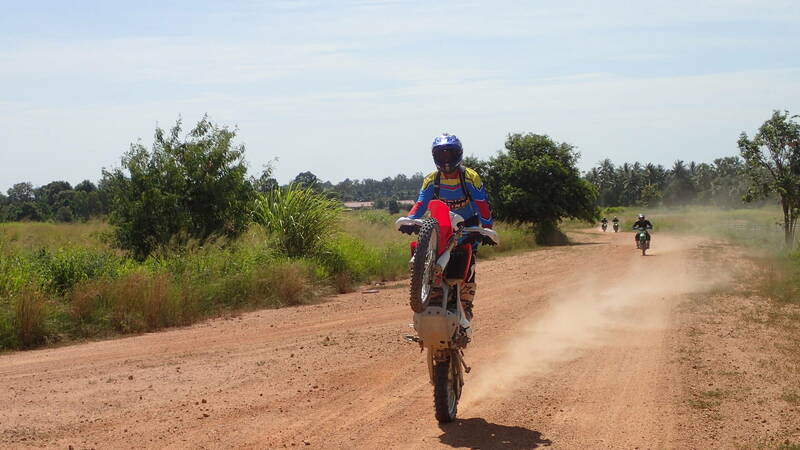 Enduro-Madness will give you expert tuition and will have you riding competently usually well within an hour! 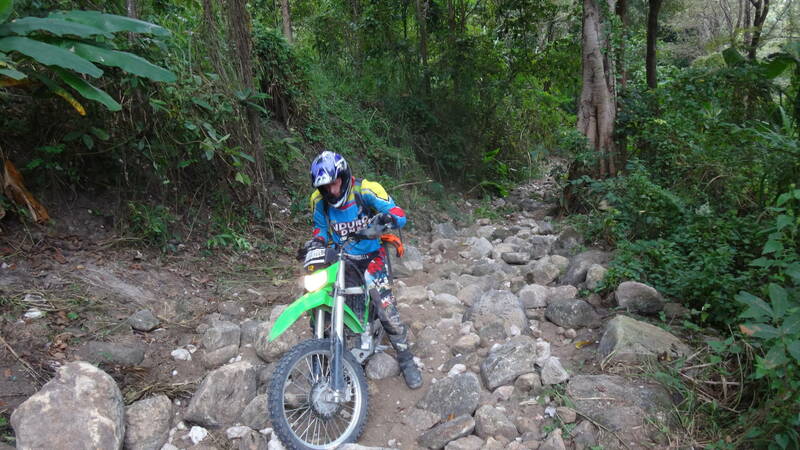 Then it's off for some skills training before hitting some scenic beginner level off-road trails. 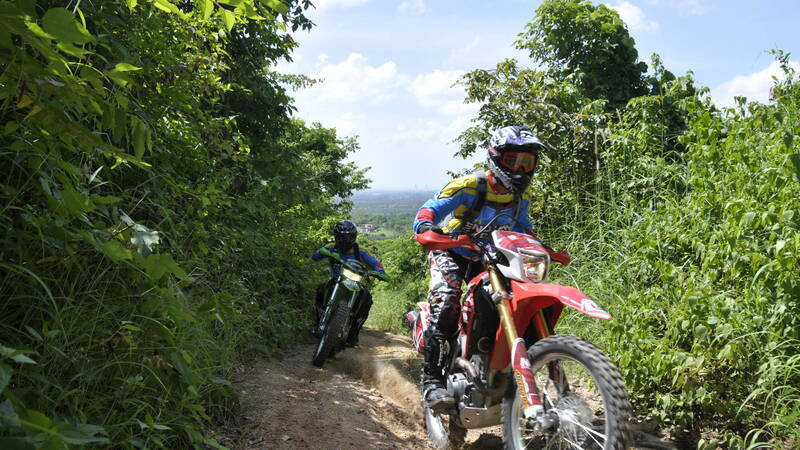 Level Two / Novice: This tour level is for riders who are competent motorcyclists however have ridden less than 50 full days Off-Road Enduro trails. 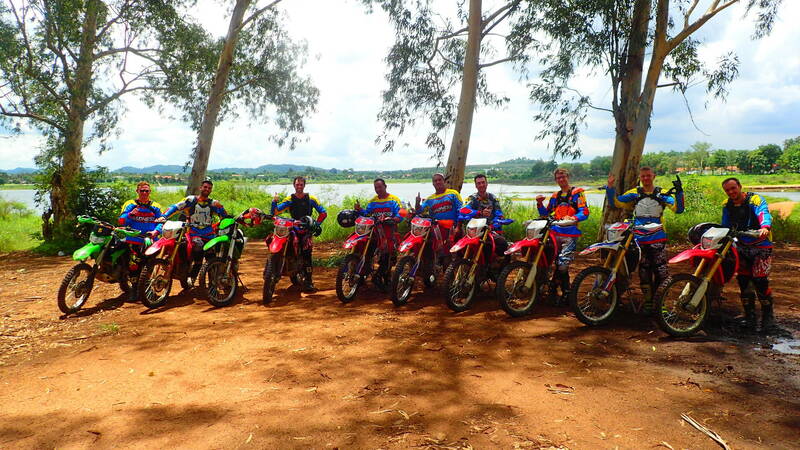 Level Three / Experienced: You are a competent Enduro rider that has ridden well over 50 full days of Enduro off-road technical dirt bike riding. 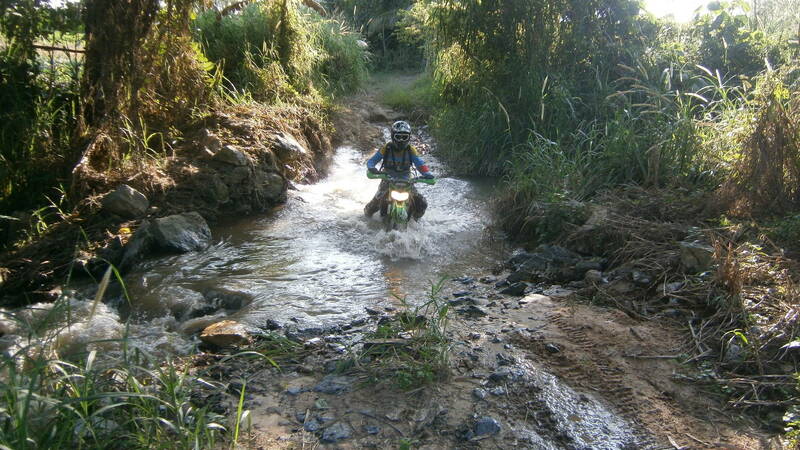 You are looking for a challenge with technical single tracks, steep rutted hill climbs whilst riding at a fast pace. 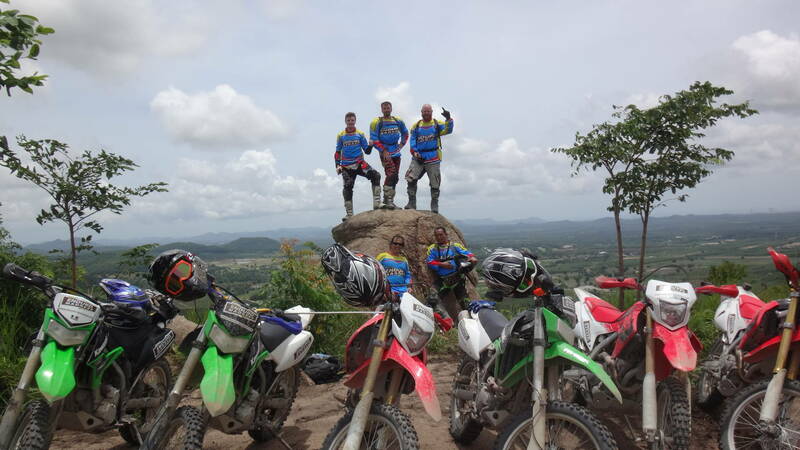 Level Four / Expert: You are a seasoned expert enduro rider and you would like Enduro Madness’s Thailand enduro champion guides to lead you on an extreme enduro tour that will seriously blow your mind and test your abilities to the absolute max on Hard Enduro xtreme boulder mountain trails! 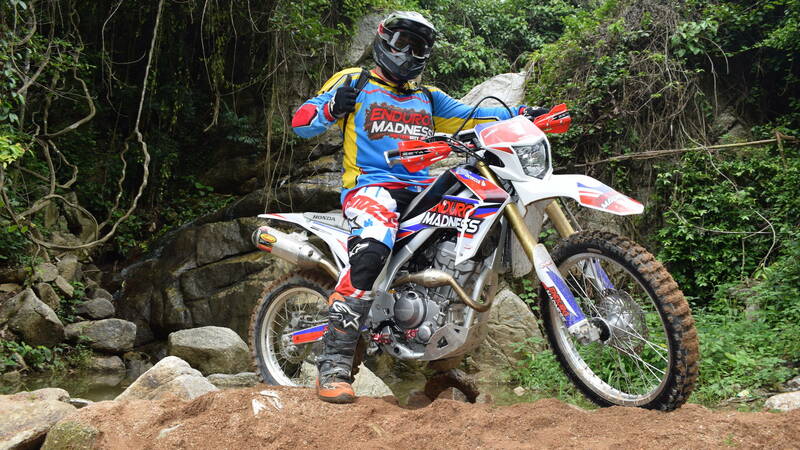 Enduro-Madness has a range of over 30 dirt bikes to suit all riders shapes and sizes from Kawasaki 125cc, 140cc, 150cc and 250cc, Honda Crf 250cc and 300cc, Husqvarna TE 300 and KTM 450cc. 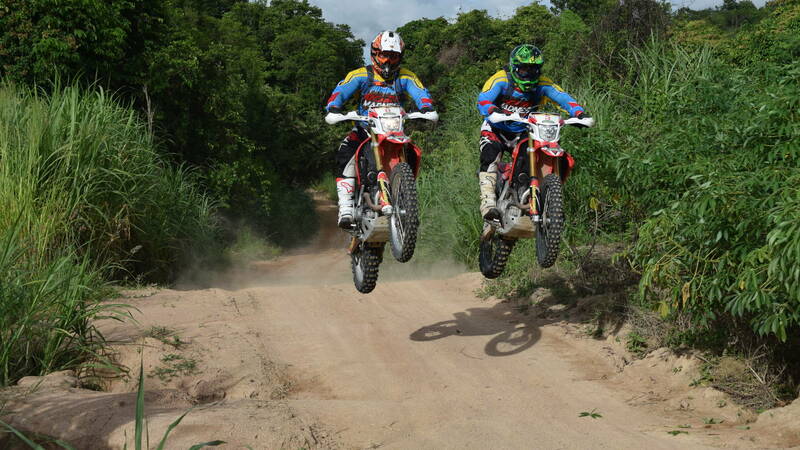 With quality brand name riding safety gear, rest assured that you are fully protected from head to toe. 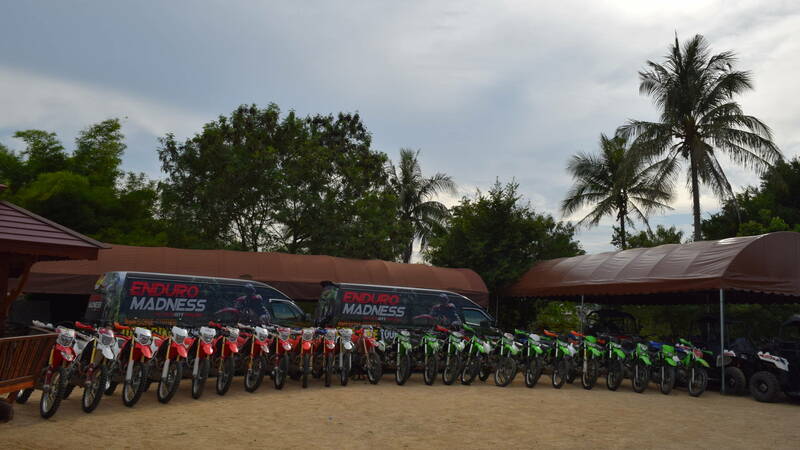 Enduro Madness’s pro guides are very patient and are experts in adapting various routes to perfectly suit the customer's abilities. 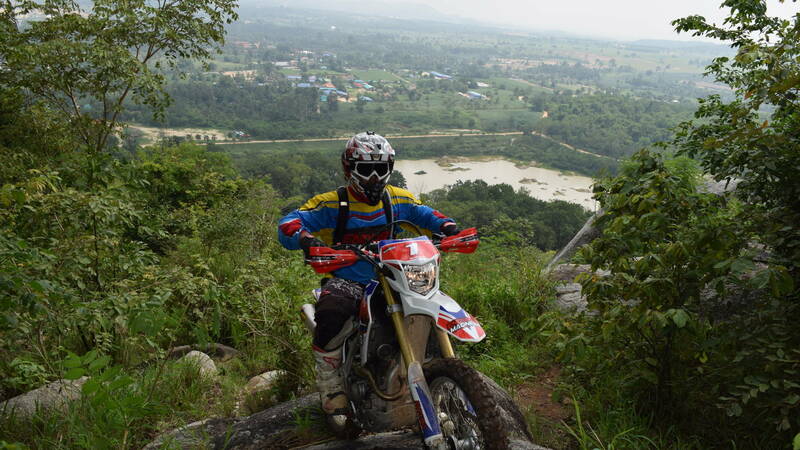 With a garden of Eden of massive and various Enduro full day routes available the Pattaya Outback really is an enduro paradise. 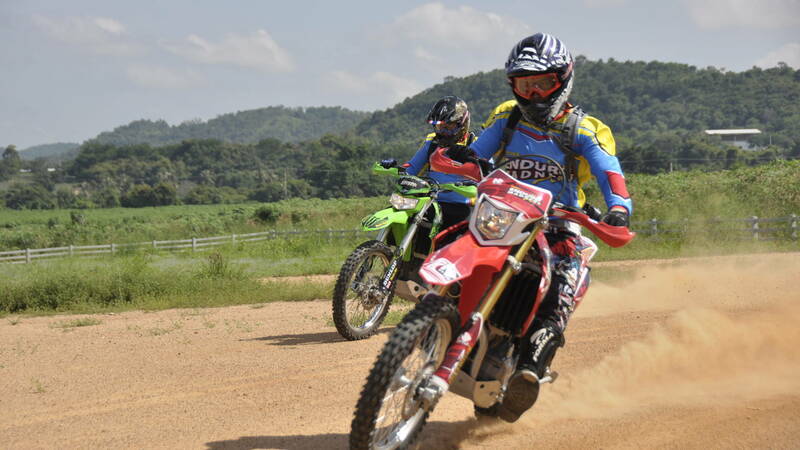 From the 70 km of tight jungle single track at Kaew Mai Keaw, to hard Enduro rock garden mountain trails near Ban Chang through to easy scenic Silver Lake and Buddha Mountain trails towards Sattahip, Enduro-Madness will mix up the perfect recipe for you for a guaranteed glorious day in Enduro Heaven! 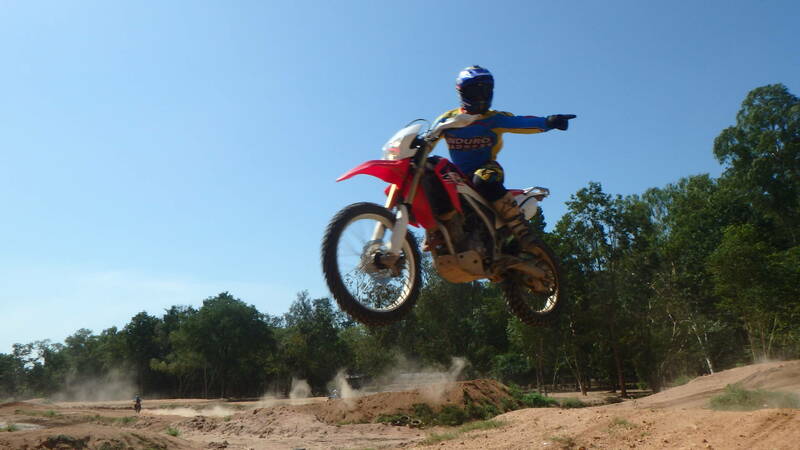 The 3 hour tour Price is 3,800 THB / Rider. 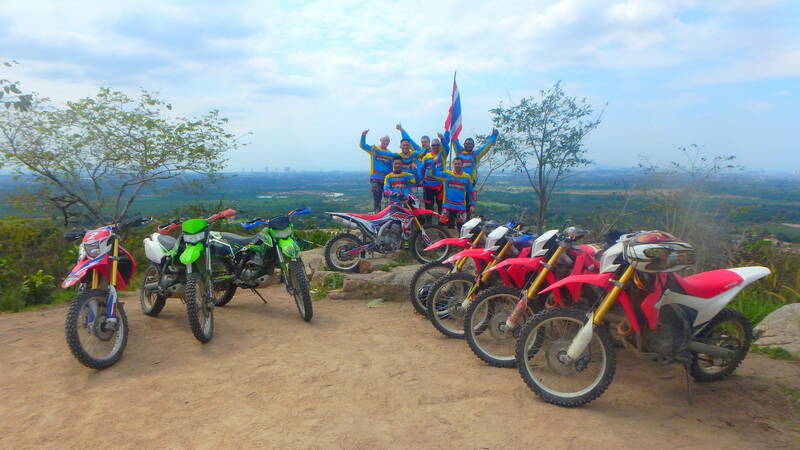 The Full Day Tour is 5,800 THB / Rider with a 10% discount if you book and pay full online. 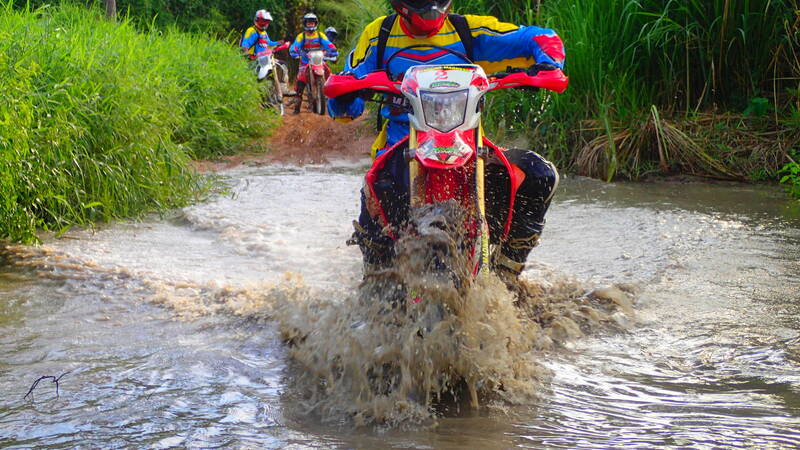 Minibus transfers to and from your hotel. 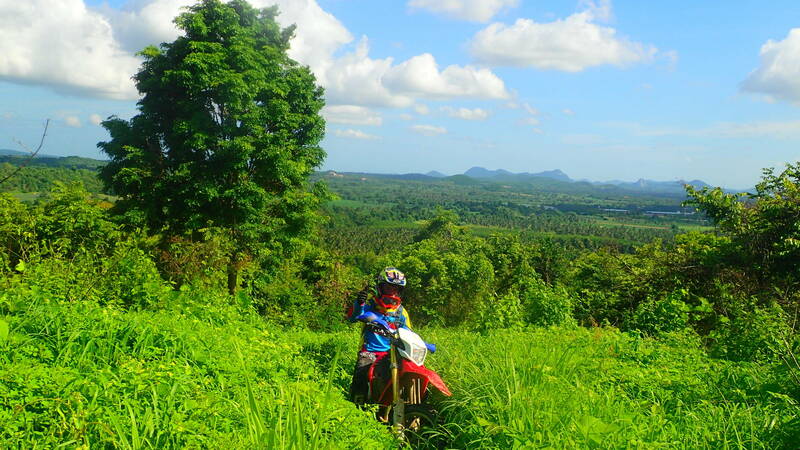 Fresh fruit and Soft drinks, post tour meal for 3 hour tour (Beef, Chicken or Veggie deluxe burger, french fries and salad.) 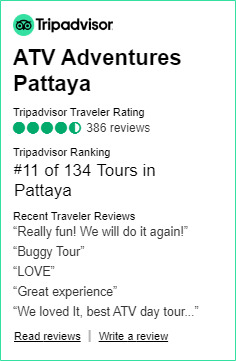 For the Full day tour it’s a delicious lunch at a Thai restaurant depending on routes chosen and a post Tour complimentary beer. 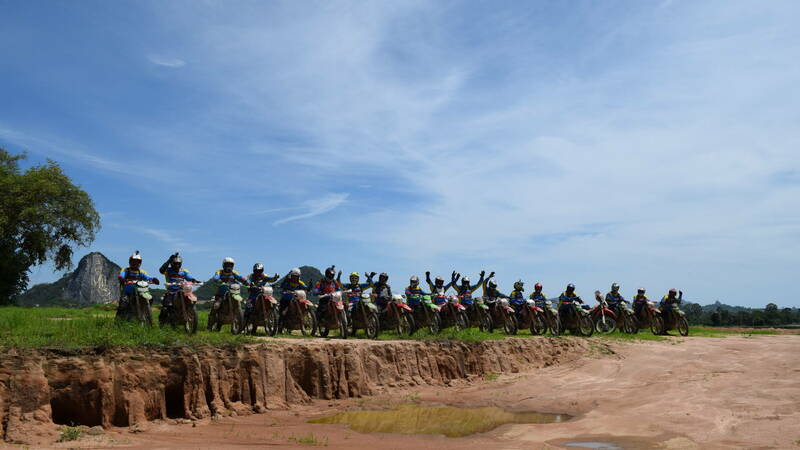 Full facilities including showers, towels, lockers and clean modern changing rooms.